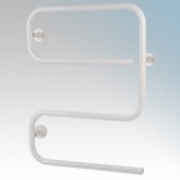 The Alize is a traditional S-Shaped design available in White and Chrome. They are lightweight and easy to install with robust mounting brackets included. Supplied pre-wired with 1.5m cable with cable entry to the bottom right of the towel rail. 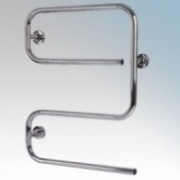 Hyco Alize S Type Electric Towel Rails There are 2 products.